The American Prize is honored to announce the winners, runners-up, citation recipients and honorable mentions of The American Prize in CHORAL PERFORMANCE, 2016-17, in all divisions. Congratulations! All applicants finalist or higher receive written evaluations from a member of The American Prize judging panel; the competitions reserve the right to award additional citations for merit up until the final announcement of results for 2016-17 has been made. 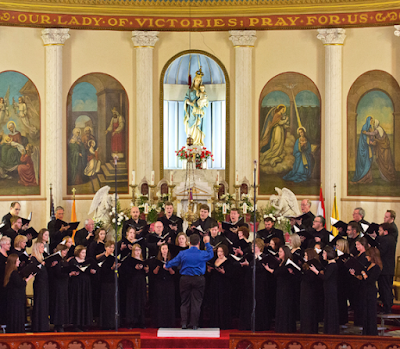 Based in Sioux Falls, South Dakota, the South Dakota Chorale is a collaborative network of musicians combining the talents of singers locally, regionally, and across the nation. 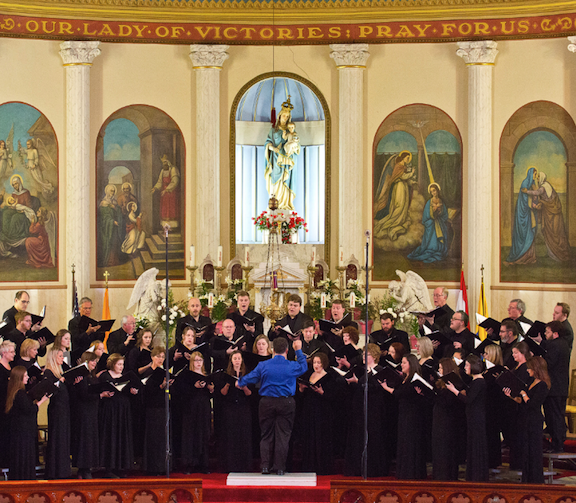 “Bringing people together to produce inspirational world-class performances of choral arts that embrace professional artistry and enrich the cultural life of South Dakotans” is their mission, and they strive to reach this in all of their work. The Saint Louis Chamber Chorus was founded and nurtured for its first twenty years by a recent import from Great Britain, Ronald Arnatt, now recognized as one of the Episcopal Church’s most influential musicians. During his tenure the SLCC introduced St. Louis audiences to numerous masterworks by Delius, Stravinsky, and Vaughan Williams. After Dr. Arnatt took up a position in Boston, the choir’s pioneering spirit was continued by two local academics, Allen Carl Larson and Stephen Curtis. In 1989, Philip Barnes was appointed the fourth artistic director in the choir’s history, and under his guidance the focus has shifted to a cappella literature, recordings, and the commissioning of new music. Over the past 25 years the SLCC has premiered numerous works from some of the leading choral composers around the world which includes R R Bennett, Judith Bingham, Bob Chilcott, Sydney Guillaume, Howard Helvey, Gabriel Jackson, and Ned Rorem. St. Louis Chamber Chorus website: www.chamberchorus.org. 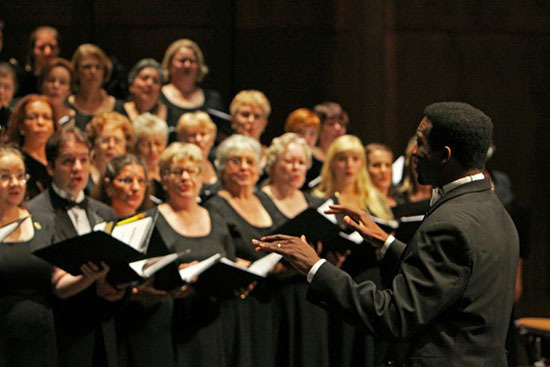 The Tallahassee Community Chorus began in 1988 as a collaborative effort between the Florida State University School of Music and 37 community singers. The group has grown to more than 200 singers and has become one of the leading non-auditioned community choruses in the country. Much of the momentum for this growth and development has been the genius of the Artistic Director, Dr. André J. Thomas, whose energy, skill and musical talents are known and respected throughout the choral world. In addition, the Chorus continues to enjoy an excellent relationship with the Florida State University College of Music. The Chorus includes singers from all walks of life. Age is no restriction, as the Chorus boasts a range of members from high school students through senior citizens. The mission of the Chorus is to enjoy promoting choral music through excellence in performance, and to reach out into the schools and community. eVoco* Voice Collective (www.evoco.vc) summons singers of the highest musical, technical, and expressive abilities and invites listeners to experience the extraordinary power of the voice. Through the power of the empathetic imagination, we remind each other of our shared human experiences. Passionate advocates for excellence in the vocal art, we present inspirational performances of the highest caliber through projects that include the Mixed Ensemble, the Women’s Ensemble, our Voice Recitals, and the Young Vocal Artist Award. Founded in 1937, The Wartburg Choir has received critical international acclaim for their versatility of sound and innovative programming. 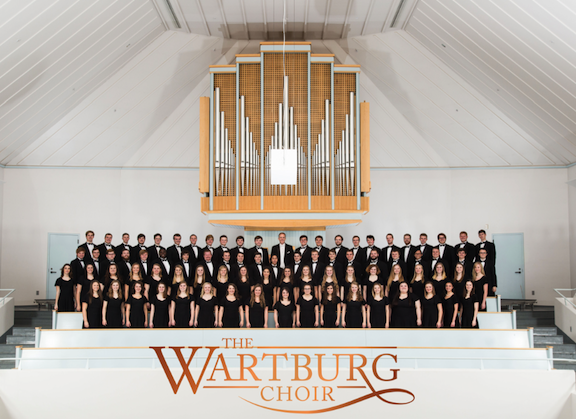 The Wartburg Choir has received invitations for special appearances in the United States and abroad, including the White House Holiday Concert Series and the National Cathedral’s Bethlehem Prayer Service, which was simulcast worldwide. 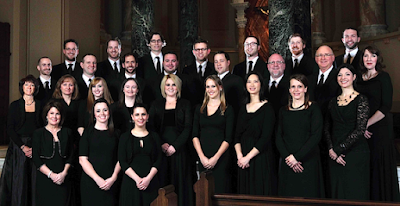 Over the past 20 years, the choir has appeared in many prestigious concert halls including the Kennedy Center; Avery Fisher Hall of Lincoln Center; Carnegie Hall; Chicago’s Symphony Hall; and Orchestra Hall in Minneapolis. 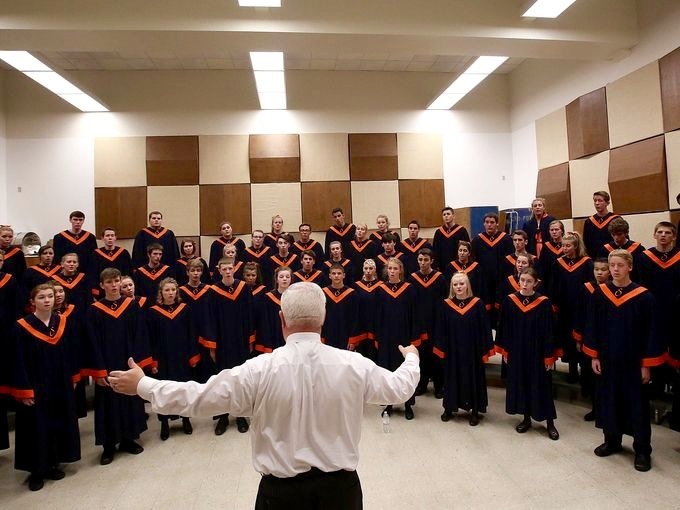 The Wartburg Choir has performed at two national and four divisional conventions of the American Choral Directors Association. Renowned composer Morten Lauridsen lauded the choir’s performance of his O Magnum Mysterium as being “in the top echelon of any performance of that piece by any choir that I have ever heard.” The choir has collaborated with numerous composers including Morten Lauridsen, Eriks Esenvalds, Ola Gjeilo, Jake Runestad, Stacey Gibbs and René Clausen. 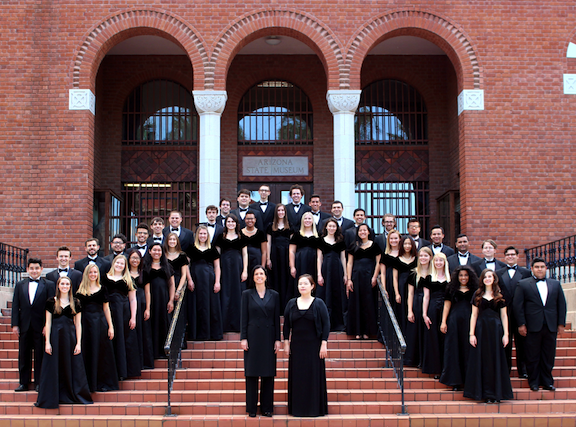 Symphonic Choir is the premier undergraduate ensemble at the University of Arizona, carrying on a sixty-five-year tradition of excellence in choral music and education. 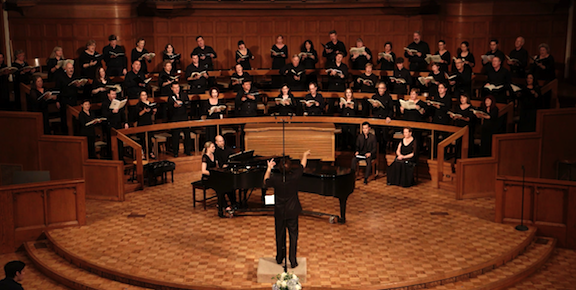 In addition to performing formal concerts on campus, on Tucson-area concert series, and on tours throughout the Southwest, the choir collaborates with university and professional ensembles, including on recent performances of Faure’s Requiem with University Community Chorus & Orchestra, Stravinsky Symphony of Psalms with Arizona Choir, Mendelssohn A Midsummer Night’s Dream with Arizona Symphony, Dvorak’s Stabat Mater with the City of Prague Philharmonic, and Mahler Symphony No. 2 with the Tucson Symphony Orchestra. 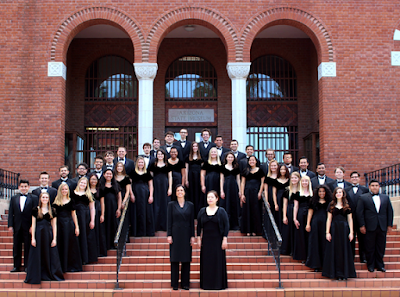 Symphonic Choir has been invited to perform on the concert programs of the 2014 and 2010 Western Divisional ACDA Conferences, the 2012 Pacific-Southwest Regional Conference of College Music Society, and the 2011 Annual Conference of Arizona Music Educators Association. Students represent a broad variety of disciplines and hail from throughout the United States. JUDGES CITATION: "Exceptional Programming and Distinctive Repertoire"
The Voorhees Choir maintains a membership of 55 voices, representing all women of the university. 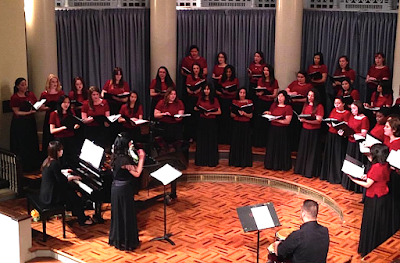 The choir presents two major concerts each year and serves as the official college choir at Douglass Residential College events, such as the Yule Log, Sacred Path and commencement ceremonies. The Voorhees Choir has a long tradition of representing Rutgers University, from its beginnings as the choir of the New Jersey College for Women (NJC) to its years as the official choir of Douglass College to its important dual role as an ensemble in the Mason Gross School of the Arts and its continuing work as an institution of pride representing the Douglass Residential College (DRC). The Voorhees Choir is extremely appreciative of the support of the Dean of the Douglass Residential College and Douglass Campus, Jacquelyn Litt. 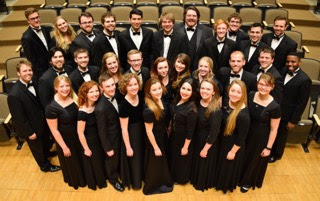 The Wichita State University Concert Chorale is the premiere choral ensemble at Wichita State University. The Chorale is a highly-selective, auditioned choir open to all WSU students, specializing in the performance of a wide variety of significant choral literature from the Renaissance through the twenty-first century. 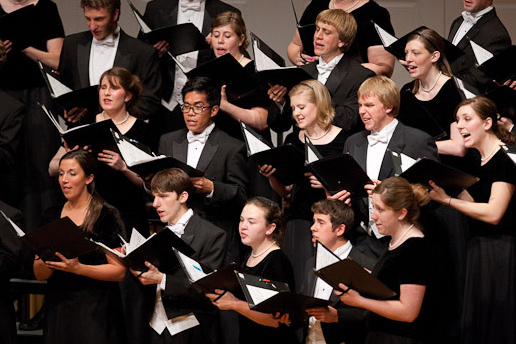 The Chorale combines annually with other WSU choirs to present the annual Candlelight Christmas Concert. It also performs with the WSU Symphony Orchestra for the spring choral/orchestral work, past performances of which have included Durufle's Requiem and Bernstein's Chichester Psalms, under the direction of Robert Shaw. The Chorale and other WSU choirs performed with internationally-acclaimed operatic artist and WSU alumnus Samuel Ramey in his appearance in Wichita in 2001. The Chorale has a rich history of notable conductors, including Harold Decker, Harrison Boughton, René Clausen, Robert Glasmann, and currently, Michael Hanawalt. The Choir of the West is the premier choral ensemble at Pacific Lutheran University, located in Tacoma, Washington. The choir has toured to Europe, Scandinavia, Japan and China, and has appeared at several professional regional and national conferences. 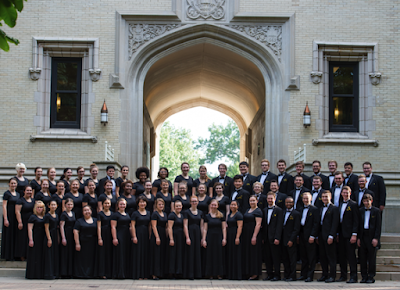 Most recently, the choir performed as one of the featured choirs at the 2016 National Collegiate Choral Organization Conference, held in Portland, Oregon, under the direction of headline clinician Simon Carrington. The choir gave a highly acclaimed performance at the 2013 ACDA National Conference in Dallas, Texas. Choir of the West has won gold awards at prestigious international competitions, including the 2011 Harmonie Festival in Lindenholzhausen, Germany and the 2015 Anton Bruckner Choir Competition held in Linz, Austria, where the choir was awarded the Anton Bruckner Prize. 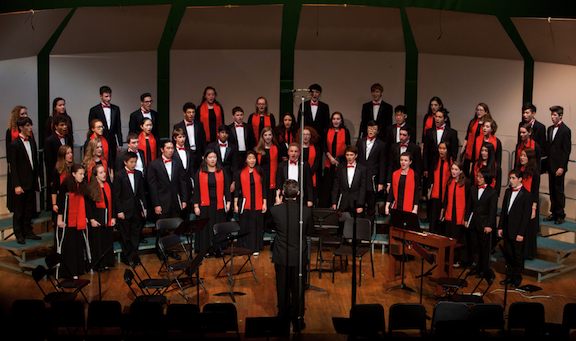 Choir of the West is comprised of undergraduate students from a variety of academic disciplines. For more information please visit the choir’s website: www.plu.edu/choir. 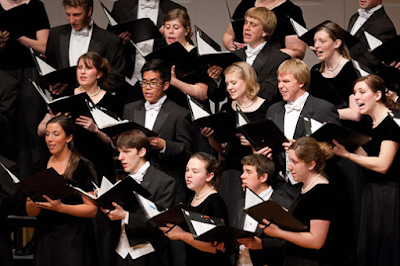 The Wheaton College Concert Choir is made up of approximately fifty young women and men with a passion for choral music. 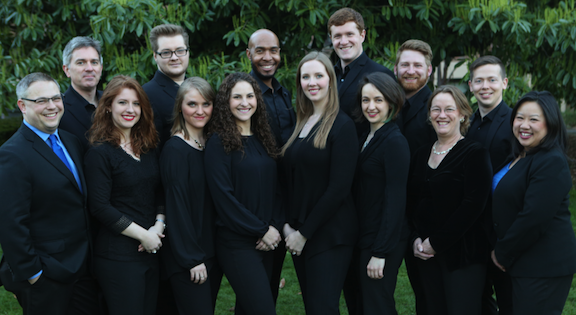 Led by Dr. John William Trotter, the ensemble provides an ideal performance venue for experienced and motivated choral singers whose goal is to make music at a high level. It also provides an experience of great value for those intending to make music their career. The Wheaton College Concert Choir has frequently been honored with invitations to perform on concert series and at regional and national conventions, to lead worship in churches, and to perform with professional ensembles. They also perform in more unconventional situations, ranging from soup kitchens and furniture stores to public lectures and prisons. Taken together, these varied experiences enrich students’ understanding of the vocation of the musician. Recently, the Choir has also enjoyed exploring interdisciplinary collaborations and engaging in musical improvisation with audiences. Charles A. Sprague High School, located in southwest Salem, is a four-year high school with an enrollment of 1,800 students. The school is named for Charles A. Sprague, a former governor of Oregon and editor of the Oregon Statesman Newspaper in Salem. The school opened in the fall of 1972 and is now one of six public high schools in the Salem-Keizer School District. Oregon’s second largest school district, Salem-Keizer has long been recognized for its tradition of outstanding music programs. The Sprague Concert Choir is made up of the most advanced sophomore, junior, and senior vocalists at the school. Since its inception over 30 years ago, the choir has won numerous titles at state and regional festivals and has made multiple appearances at regional and national ACDA conventions. Vocal Ensemble, the advanced choir at Bexley High School, is one of four choirs in the Choral Department. Since 2003, Vocal Ensemble has toured throughout the United States and Canada including major cities such as New York, Toronto, Chicago, Pittsburgh and Philadelphia. They performed in Carnegie Hall in 2010, and will perform again in 2017. They have travelled overseas to perform in the cathedrals of Venice, Salzburg, Vienna, Prague, Budapest, Krakow, London, Paris, and throughout Ireland. Vocal Ensemble has been invited to perform for OCDA Professional Conferences in 2007, 2009, 2011 and 2014 as well as OMEA Professional Conferences in 2009, 2011, 2013 and 2016. They performed for the ACDA Central Division Conference in 2012 and 2016. Members have worked with numerous conductors and composers including Hilary Apfelstadt, Eric W. Barnum, David Childs, Rollo Dilworth, James Gallagher, Sydney Guillaume, Lynda Hasseler, Ronald Jenkins, Kristina MacMullen, James Mulholland and Timothy Takach. 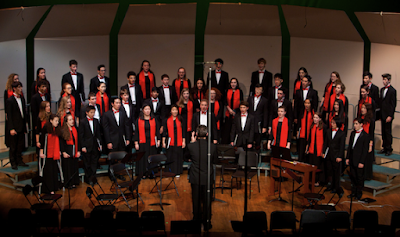 The Delphian Choir is the most select of seven choirs at Great Falls High School, located in north central Montana. 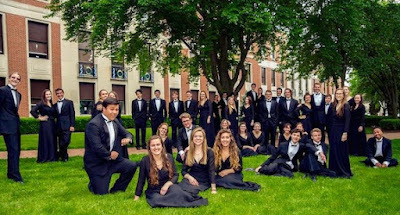 The choir consists of 44 sophomores through seniors, who strive to create and share passion, creativity, integrity, and empathy with their audiences through unique programming of choral music. Delphian has performed on more than a dozen regional and national conference programs since the choir's inception in 1959. 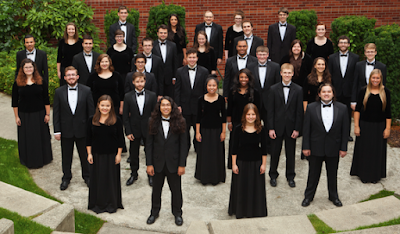 Recent highlights of the Delphian Choir include the commissioning and world premiere of John Muehleisen's Consolation: Requiem for Newtown; performing at the Northwest NAfME Conference in 2015; frequent performances with the Great Falls Symphony; and being part of a commission consortium and premiere of Timothy Takach's seven-movement work, The Longest Nights. JUDGES CITATION: "Excellence in the Performance of Music Before 1800"
The Brookline High School Camerata is made up of 48 students, all of whom are enrolled at Brookline High School. The singers are selected by audition and rehearse two days per week before school and one evening per week. 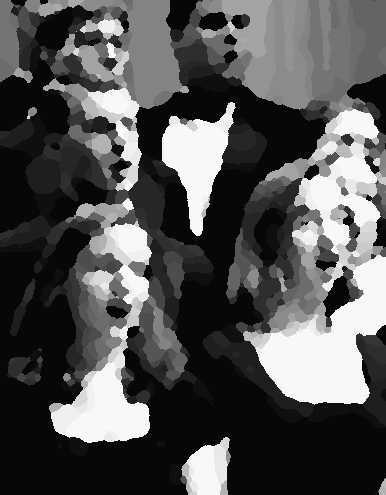 Each member of the Camerata is required to sing in Concert Choir or A Cappella Choir for two years. Sight-singing ability is a major requirement for entry into the Camerata. Repertoire for the group spans all areas of choral literature including works of master composers, spirituals, gospel, music from world cultures and contemporary popular music. The group frequently performs with the instrumental ensembles at Brookline High School. Michael Driscoll is in his thirteen year directing the choirs at Brookline High School. He has a Masters in choral conducting from New England Conservatory and a doctorate in choral conducting from Boston University.